An allergist (also known as an immunologist) is a doctor specializing in the diagnosis, treatment and long-term management of immune system disorders and allergies. Allergists deal with common things like allergies or asthma and complex things such as primary immunodeficiency disorders in which part or all of the immune system is not properly functioning. Our malpractice lawyers do not see many cases involving allergists. We follow malpractice lawsuits pretty closely in Maryland and have not seen a claim against an allergist in years. This specialty of medicine sees few malpractice lawsuits because most of their mistakes are correctable without causing the level of harm that would give rise to a medical malpractice case. Still, there are some cases where the failure to diagnose or the wrong diagnosis can cause serious injury or death to the patient. Immunologists or allergists must first obtain a medical degree from an accredited medical school. After med school allergists must go through a 3-year resident training program in either pediatrics or internal medicine. Once they successfully complete this training, candidates must take and pass the exam of the American Board of Pediatrics or the American Board of Internal Medicine. Upon successful completion of these requirements, a pediatric or internal medicine doctor can become an allergist/immunologist by completing an additional 2-year fellowship in the field. Becoming a "board certified" allergist/immunologist is achieved by taking and passing the certification exam of the American Board of Allergy and Immunology. Allergists and immunologists can further distinguish themselves by becoming a Fellow of the American Academy of Allergy, Asthma & Immunology. Allergists with this distinction will carry the "AAAI" designation after the "M.D." in their credentials. What do Allergists and Immunologist do? Allergists/immunologists are primarily found in private solo or small group practices which receive patients on referrals from primary care doctors. Most of what allergists and immunologists do involves outpatient care and treatment as opposed to hospital work. Many allergist and immunologists can also be found working in the research and development field. Immune system diseases like primary immune deficiency, combination immune deficiency syndromes, antibody deficiencies, phagocytic cell problems, and acquired immune deficiency (AIDS) from the HIV virus. Compared to other types of doctors, allergists and immunologists don't get sued for medical malpractice very often. This does not mean that allergists make fewer mistakes or errors than other types of doctors. Allergists are human and make mistakes just like everyone else in the medical profession. The main difference is that mistakes by allergists or immunologists are less likely to have devastating consequences for the patient. Allergists don't have to defend many malpractice cases because they have a much wider margin for error than other specialties. For example, if a surgeon makes even a very small mistake during a procedure (such as cutting too deep) it can have disastrous results. Therefore the victim of that surgical error is much more likely to sue the surgeon for medical malpractice. By contrast, even if an allergist makes a really big mistake it usually won't cause major harm to the patient. When an allergist or immunologist breaches the standard of medical care it often involves some type of diagnosis error or failure to diagnose claim. Allergists are supposed to diagnose allergies. If an allergist tells a patient that they are not allergic when they actually are it can sometimes lead to very sad results. One notable example of how this sort of diagnostic failure can go terribly wrong occurred in Seattle. In that case, the allergist advised a patient that he was not allergic to bee stings (based on a negative skin test). Based on this the patient opted not to get treatment and stop carrying his epi-pen. It turns out he was very allergic to bee stings and had a severe allergic reaction after being stung by a yellow jacket. The reaction left him with permanent brain damage and he ended up getting $5 million in his malpractice claim against the allergist. Medication error is also a possible form of malpractice for allergists. 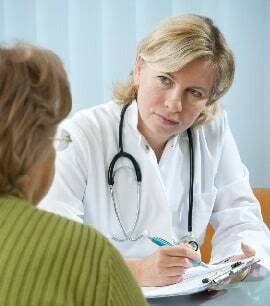 First, it is a deviation from the standard of care to knowingly administer medication to which the patient is allergic. There are also allergist lawsuits and settlements involving allergy shots gone wrong. For example, an allergist in Chicago caused a patient to go into anaphylactic shock after giving an allergy shot that was 3,000 time the proper dose. The patient died as a result and the allergist ended up paying $1.5 million to settle the wrongful death lawsuit. The patient suffered anaphylaxis to Ancef (Cefazolin) which should have been predicted based on the patient's history of penicillin allergy. There are also claims against allergist when they act as internists. Even though the allergists focus on their area of specialty, they are also trained as internists and are held to the standard of care which applies to internal medicine. Patients come to an allergist and bring up issues that an internist would address and the allergist often addresses it. Prescribing a drug like Albuterol or other inhalants without first obtaining a cardiology consultation with an at-risk patient. Below are a few more verdicts and reported settlements from medical malpractice lawsuits against allergists or immunologists. Obviously, there are not many which underscore how rarely these doctors are sued. New Jersey - $7.6 million: A 38-year-old woman was seeing an allergist for treatment of constant and excessive nasal discharge. She initially sought treatment from an ENT but was eventually referred to defendant allergist. Allergist saw her several times and initial allergy testing returned negative so he advised her that further allergy tests should be performed in several months. Hours after her appointment she ends up in the hospital with severe headaches at which point it was determined that it was cerebral spinal fluid leaking from her nose and diagnose bacterial meningitis. Plaintiff goes into a coma for 2 weeks and remains in the hospital for another 4 months. She is left with severe and permanent brain damage resulting in cognitive deficits and memory loss. She sues the allergist claiming that he was negligent in failing to consider a cerebral spinal fluid leak as a differential diagnosis which would have revealed her condition. Jury awards $7.6 million. Massachusetts - $440,000: Plaintiff went to allergist office to get usual allergy shot. After receiving the shot she began to exhibit signs of an adverse allergic reaction so the allergist gives her Benadryl. Her condition gets worse and falls into respiratory and cardiac arrest and she eventually dies. Her husband brings wrongful death action against the allergist alleging that his response to her sudden reaction was negligent and that he should have administered oxygen and an epinephrine shot immediately. The case was settled for $440,000. Indiana - $484,000: Male plaintiff in his late 30s was referred to defendant allergist for treatment of severe skin irritation causing hive-like blisters on his hands, legs, and feet. The allergist gave him a prescription for a corticosteroid drug called Prednisone. Plaintiff had a severe reaction to the Prednisone that caused necrosis of his hip joints and he eventually had to undergo bilateral hip replacements. He sued the allergist for medical malpractice and the case settled for $484k. Virginia - $700,000: 33-year-old male plaintiff went to the defendant allergist's office for a heavy-duty allergy injection after severe allergies sent him to the emergency room on 2 separate occasions with difficulty breathing. The allergist inappropriately gave him the injection of Susphrine intramuscularly rather than subcutaneously. The following day the plaintiff had severe pain in his arm and went to the hospital. His arm had to be amputated and he sued the allergist for negligent administration of the injection. The case was settled for $700k. Oregon - $296,254: 10-year-old girl went to defendant allergist after experiencing shortness of breath while playing soccer. Allergist diagnosed her with exercise-induced asthma and prescribed inhalers. The inhalers were ineffective but allergist maintained his diagnosis. Soon after the girl suffered an acute myocardial infarction while exercising and died. It was then discovered that she did not have asthma but rather a congenital abnormality in her coronary artery which caused her death. Her parents sued the allergist for misdiagnosis. The case settled out of court for $296k. If you think you may have a medical malpractice case against an immunologist or allergist, contact the malpractice attorneys at Miller & Zois at 800-553-8082 or contact us online.